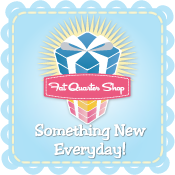 craftytammie: Cluck Cluck Sew pattern giveaway! 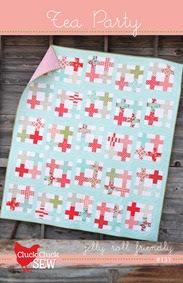 one of my favorite quilting blogs is cluck cluck sew. i've been reading her blog for years (man, that feels strange to say. 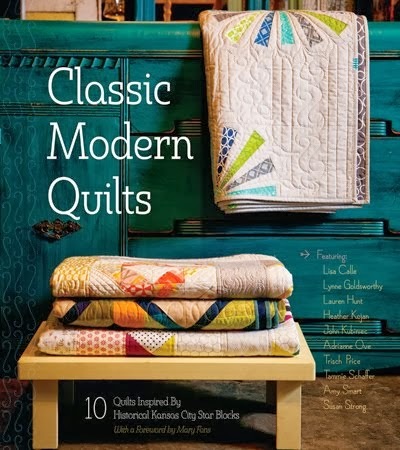 have i been quilting for years already?!) 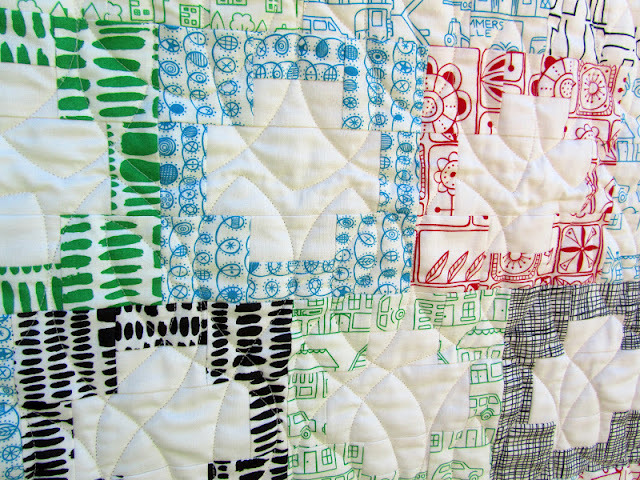 she shares lots of quilting eye candy, but she also writes about being a quilting mom. her recent post called time is probably one a lot of us can relate to. the question "how do you find time to..." is one i get a lot. one of my favorite things about the quilts allison makes is her use of color. bright clear colors, often contrasted with white. 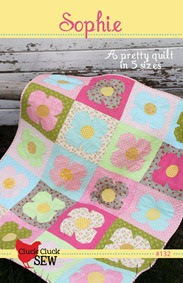 like in this quilt, one of her new patterns! she offers tons of free tutorials on her site too, for quilts and other accessories, like a infant carrier cover and camera strap cover. 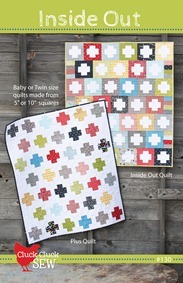 here's a peek at some of her other new patterns and gorgeous quilts. 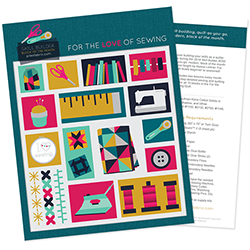 she's being so generous and giving away a bundle of those new patterns! Joyfully, Pow Wow, Spin Cycle, Inside Out, Tea Party, and Sophie. these are available as either a paper pattern or PDF, so if you're the chosen one you'll need to decide which you prefer. 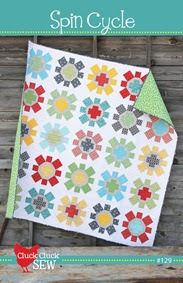 and here's a peek at a quilt my friend candice made using the inside out pattern. you can check out her post about it at made with love tell her hi for me! here's the rest of the pattern bundle you could win! giveaway ends monday july 16th at noon CST. winner will have one week to respond before a new winner is chosen. thanks for entering, and good luck! Spin Cycle is cute and fun. Spin Cycle is my favorite!! Spin cycle is my favourite too! been a fan of cluckclucksew for awhile. she is one of my favorites. Great patterns! Sophie is my favorite. I love the patterns. 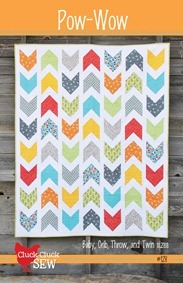 I have been looking for a pattern that would work for a masculine quilt for my husband. With the right colors Pow Wow would really foot the bill. Thanks for the Giveaway! My favorite pattern is spin cycle. It's so unique! I like the Spin Cycle the best! 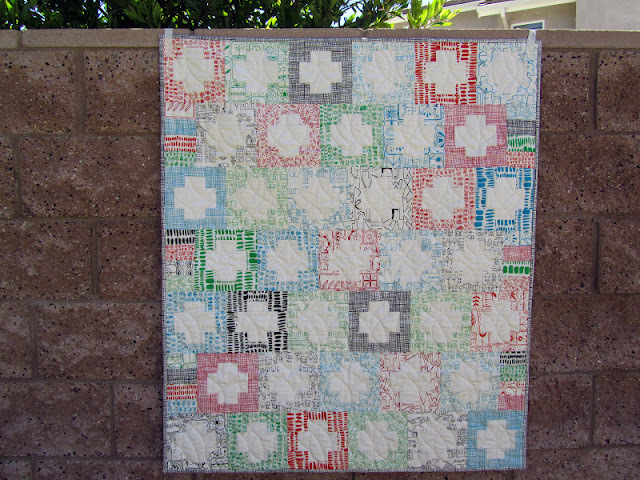 I love all her patterns and in fact just finished both plus quilts and blogged about them with pictures! I also purchased pow wow and tea party but would love to acquire the others as well. Her instructions are so easy to follow too. If I won, I would choose the paper patterns! Inside out is one of my favorites and seeing it made with Summerville really makes it my favorite! Do I have pick? I would be happy with any of them! Sophie is really cute! Thanks for a great giveaway! I love it...what a great giveaway. I love joyfully. Actually, I love them all...pick me, pick me!!!! Wow, Tammie (and Allison!) great stuff. I've had my eye on Joyfully for a while now! Tea Party and Spin Cycle are my favorite patterns. Maybe inside out, it's hard to choose! I love "Tea Party"!! Thanks for a look at some great patterns!! My favorite pattern is Tea Party. Pretty! My favorite is Pow Wow. 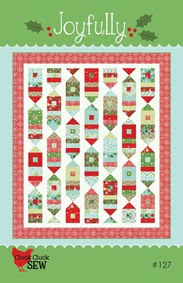 I have several of Allison's patterns but of the new patterns, I love spin cycle! Spin Cycle is my fave. I love Spin Cycle. 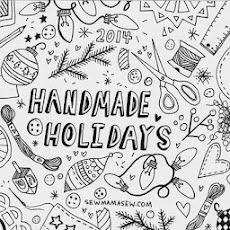 It looks lovely - not sure I would be able to make it as wonderfully as the picture but I really love it. I love the Tea Party pattern. So pretty. Great patterns! I love the Spin Cycle. Thank you for the giveaway and a chance to win. Pow Wow is definitely my favorite. I'm in love with arrows.